The Republic of the Congo is a developing country in central Africa, with limited tourism facilities. Many national governments strongly recommend no travel to the Pool region and to avoid non-essential travel to other areas except for the cities of Brazzaville and Pointe-Noire, where a high degree of caution should be exercised. The Congo's main attractions are its tropical rainforest, and the amazing variety of animals including chimpanzees, lowland gorillas, elephants, hippopotamus, leopards. Points of interest for any visitor to the Congo include the coastal beaches near Pointe-Noire, cruising the Congo River and Odzala National Park. Times to Travel: Congo's climate is tropical and wet. There are two rainy seasons: March to May and the second between September and December. The best time to visit is during the dry seasons: January, February, June, July or August. July is the most popular month as the weather is cool and dry and animals are more visible. NOTE: Before making your travel plans to any worldwide destination, we strongly recommend you authenticate important details regarding all applicable health, passport and visa requirements. The people at Travel Visa Pro can answer all of your questions! What is the Capital of Congo? 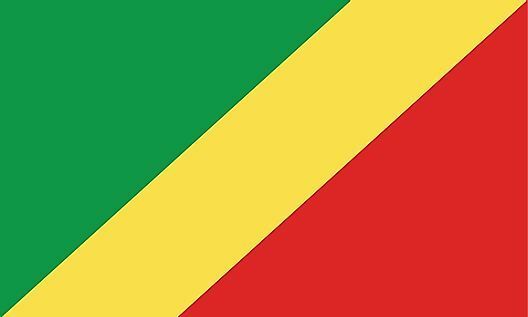 What Languages Are Spoken in the Republic of the Congo? What Are The Major Natural Resources Of The Republic Of The Congo? How Many Types of Waterfalls Are There? What is Biomass? Which Countries Burn the Most Biomass?